To the left you see a photo of Charles King, who is largely unknown today, but who inspired a generation of Unity youth and who so inspired the 7,000 attendees of the 1970 Unity Convention that he was asked to come back in 1973 and 1976. Rev. Larry Swartz, chair of the Association of Unity Churches at the time, confirmed for me that Charles King was ordained at a Unity minister in 1982. Here is how I came to learn of his story and how a 90 minute amateur recording has made its way here on the Internet after 40 years. Two weeks ago I sat watching four people prepare the music for this Sunday’s Martin Luther King Celebration at Unity Center of Christianity Baltimore. Mr. Ernest Mitchell, Dr. Phill Butts, Dr. Carleen Leggett and our pianist, Kenny, had selected songs and they were working out the music. Ernest and Carleen have sung at the church since the early 1980s. 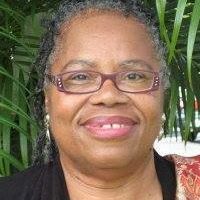 Carleen is Fulbright Program Director and associate professor at Morgan State. Kenny is a grad student at the prestigious Peabody Institute at Johns Hopkins, which is located a few hundred yards from the church. The photo you see here is from a few years back, but it gives a sense of the collaborative creativity one finds in this lovely church. You see Whit Williams in the photo. 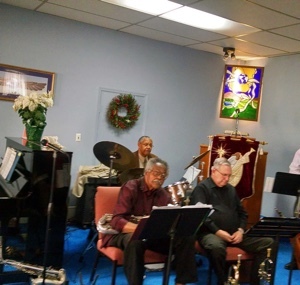 Whit is a saxophonist and, like Dr. Phill, he is a major figure in the Baltimore jazz scene. Whit is there most Sundays with his saxophone. When I showed up at the church a year ago in my suit and tie, Whit told me that if I kept dressing that way I'd get a misdemeanor. By the way, they are looking for a new minister. Click here to learn more. The music they had selected came from the African American Heritage Hymnal. 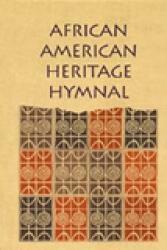 It’s not too much of a stretch to say that “The African American Heritage Hymnal is probably the most important addition to Protestant hymnody within the past century.” I got inspired listening to these four people working out of this special hymnal in preparation for the MLK celebration. The center only had five copies and no music for the pianist. So I want all of you who have donated to TruthUnity to know that I took some of your donations and bought 25 copies for the center, along with pianist music and three CDs of selected hymns. They will be delivered this morning in gratitude for the center’s celebration of Martin Luther King, Jr. For the church, I thank all of you. Well, last week I was off to the Unity Archives for a week of rummaging inspirational stuff for TruthUnity. So I had a chance to look for archival data on Charles King, as Joanna has recommended. Well, we are blessed! I found a photo, some newspaper articles and a priceless audio cassette of him working with a group of people. 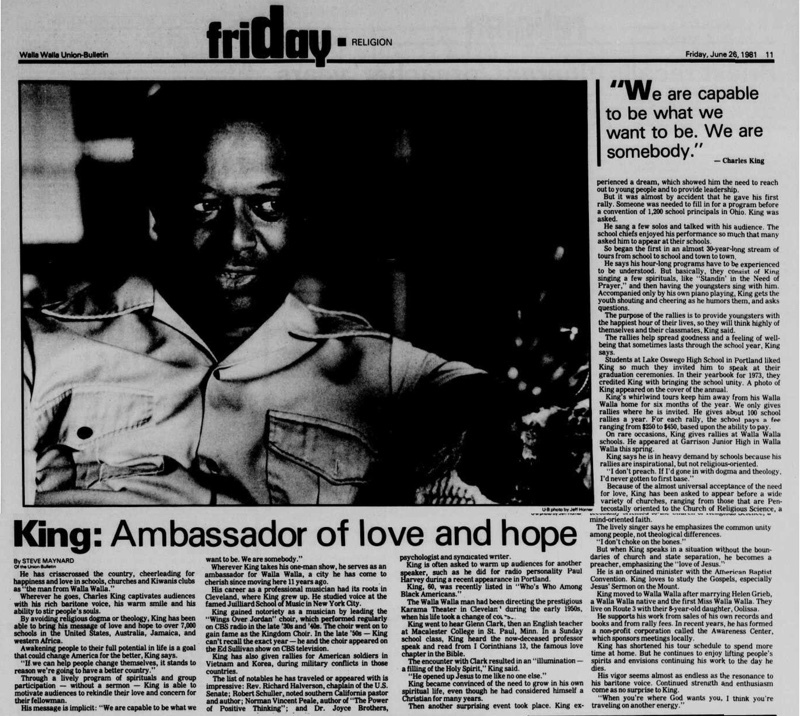 The staff of Unity Archives quickly found some publicity files for Charles King as well. 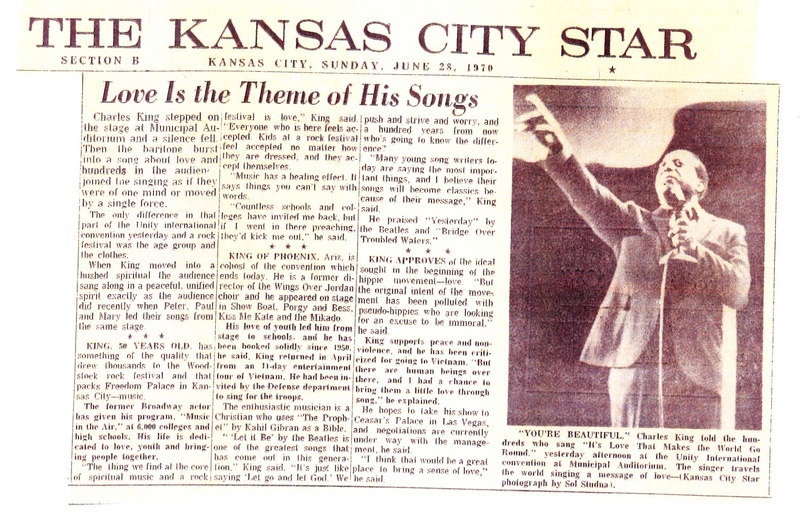 This gave us a great photograph of Charles King and some newspaper articles. The best of those publicity files is shown below. But the priceless find was the audio cassette. Some unknown angel recorded this “Evening of Inspiration” with Charles King long ago. The sound quality is poor and some of the recording had gaps where a previous copy had stuck in whatever was used to copy the audio. 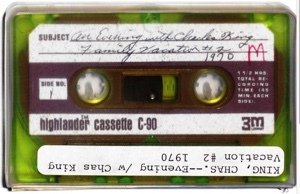 Regardless, this 90 minute audio recording gives a feel for what it was like to be with Charles King for an evening. Thank you, Joanna Gabriel and Max Lafser, for sharing with us your recollections of Charles King. You inspired me to go looking in the Archives for Charles King recordings. And Thank you, God, for preserving this priceless audio file. Sometimes Unity teachings are best conveyed not through words but rather through the soul of a spirit-filled person. 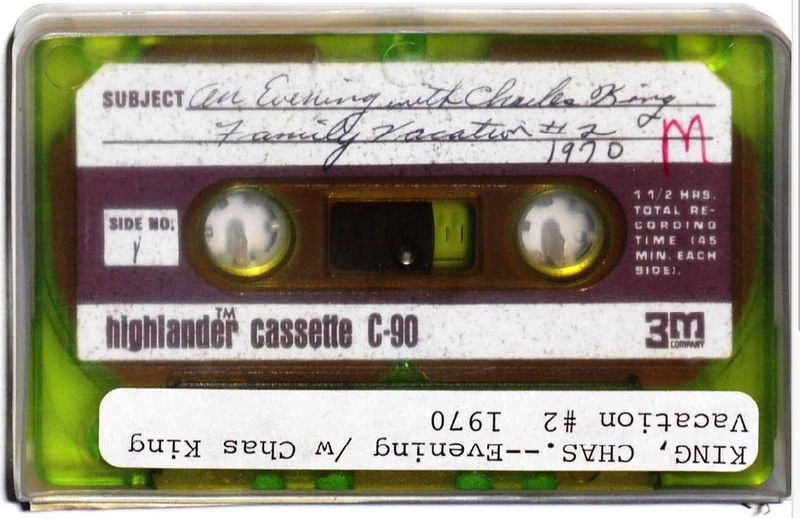 All I can say is that the amateur recording someone made years ago of An Evening of Inspiration with Charles King is a priceless find that will bless many people for years to come. I hope that you will allow the spirit of Charles King to inspire you as he inspired thousands of others in Unity many years ago. Thank your for sharing the background about Charles King. He was a delightful presence and was devoted to Unity and to being with the members of YOU. In the 70”s he visited Unity of Livonia, Michigan several times when he was touring with YOU from around the country. He stayed with us in our home and we took him to visit Greenfield Village in Dearborn. He was very touched by the exhibit about George Washington Carver (a friend of Henry Ford) and became quite overcome by the small cabins at the village that slaves had lived in. It was very moving to be with him. Charles also led the music at the Great Lake Region’s Retreats. These were a huge undertaking for the Region. We held them at a college in Ohio and hundreds of people attended. Charles would sing a song with these lines, “there’s a spirit in my feet keeping me alive, keeping me alive, keeping me alive,” the lyrics would run through the entire body. Everyone would be out of their seat dancing in the aisles. Sometimes we would slip away to Friendlies Ice Cream Parlor in the evening with a big group from the retreat and Charles would “sing the menu.” Honest, it was amazing, he had a spectacular voice and presence. I think that at one time he had a song book. I have looked for it on line but it has never turned up. Perhaps someone has a copy and they will send it on to you for the archives. Charles has been here at U of T a number of times over the years – and when I was President of the Assn I was responsible for his ordination. He is a good friend and a wonderful part of our lives. Thank you for this. I knew him though I do not think he knew me. He was extraordinary! Thank you so much for this recording and information about Charles King! In the late 70’s, when I was in my late 20’s, Unity of Birmingham hosted Charles at the Parliament House Hotel. He gave us a wonderful evening full of love and beautiful music. His high energy vibration moved me deeply. He spoke a short personal message to me, that I have never forgotten. This brings back some great memories of the many, magical people that have touched my life, through our shared association with Unity. Divine appointments, indeed!! I remember Charles King and have thought of him often! He did the music for Phil and Dorothy Pierson's Hawaii "Best Is Yet t Be" retreats back in the 80's. 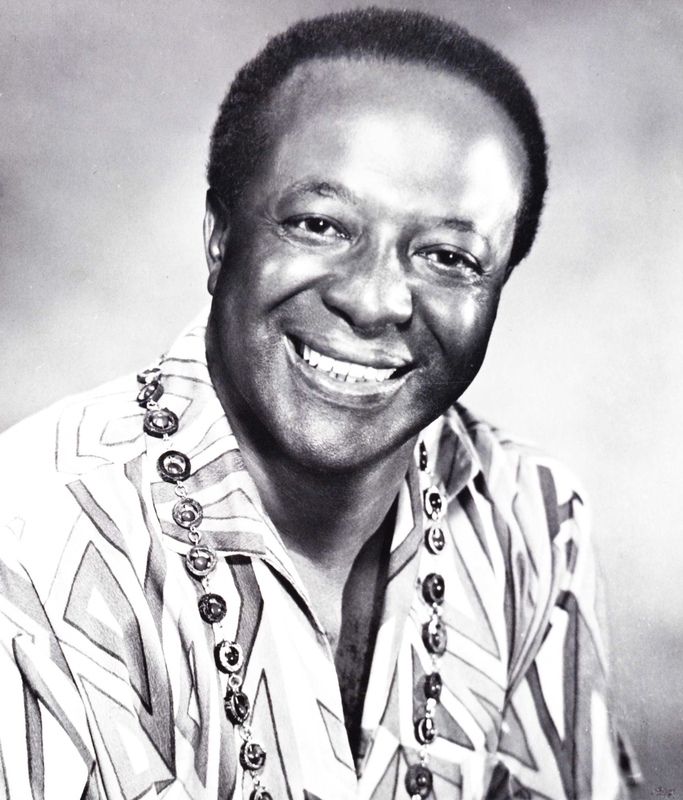 A vivid memory I have is Charles leading a bunch of us in singing joy songs at the International airport in Honolulu - to get through a flight delay. He was wonderful. Thank you for sharing this with all of us! What a treasure and pleasure – to be able to listen to Charles sing!!! Again! My husband and I and two youngest daughters met Charles @ Unity in 1970 – Pennie, our nine-year-old walked up to him in the hall, raised her arms to him and said “Well Hi!’ She had never met or heard of him before – and this was our first visit to Unity Village. Our friendship grew throughout the years – I attended UICE in two-week sessions (graduated as licensed CEP teacher in 1983, the year after Unity ordained Charles.) Charles and my husband, Red spent many hours on the golf course. Charles was a huge impact person in my life and I am eternally grateful. Have tears in my eyes and heart as I write this and am listening to him sing! Charles King in I were friends ever since meeting him in the early days of my ministerial service. I had him come to regional layperson retreats as well as nearly every ministry I served. He used to tell me about the huge attendances at those conventions in the 70's. I really miss him. Thank you so much for putting his work up on your website. This is such a gift to everyone.